If you associate Benchmade only with tactical utility, this knife is bound to change your way of thinking. 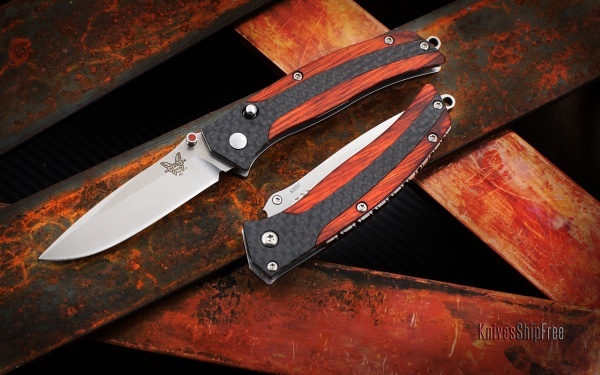 The made-in-USA 482 Megumi features handles of rich Cocobolo and carbon fiber, wrapped around a Nak-Lok mechanism, stainless-steel liners and a clip-point blade of CPM S30V. Mister Bond, your gentleman’s knife is ready.